Nostalgia tours..... I always have a bad feeling about these. I guess there's always the chance that the star won't live up to my pre-conceived idea of what the show will be by doing a half-assed job and just going through the motions. The New Cars is a band consisting of Elliot Easton (guitar) and Greg Hawkes (keys and horns) who were original members of The Cars. 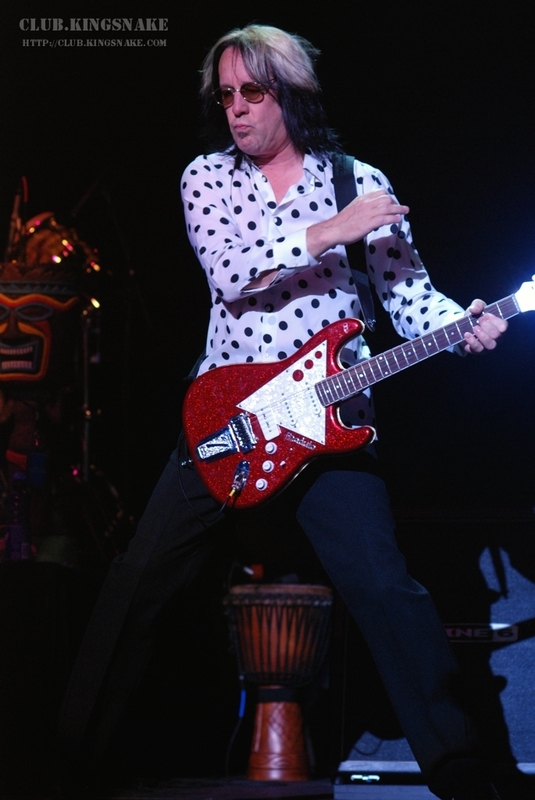 They are joined by Todd Rundgren (guitar and vocal), Kasim Sulton (bass and vocals) and Priarie Prince (drums). An impressive lineup to say the least. This was also my first time seeing a band at Casino Rama. What fantastic venue. It's not that big, but has a huge stage, huge sound, and terrific lighting. The New Cars hit the stage at almost exactly 8:00pm and I went and took pictures for the alloted two songs. Right from the get go a few die hard fans made their way to the front off the stage and were dancing. It was actually nice only taking photos during two songs. That way I was able to enjoy the rest of the show and to take some notes. Most amazing to me was that I was never what you'd call a Cars fan, but I somehow could sing along with almost every song they performed. I've never owned a Cars album but they were a significant part of my formative years and they were right there at the birth of the music video and music video channels which I spent most of my teens glued to. I guess much like the Beatles, The Who, and the Beach Boys the Cars are hiding out in the far reaches of my brain like some kind of tribal knowledge. The set was tight, clean and efficient with Todd taking most of the vocals. Todd did a great job on the quirky Rik Ocasek vocals without sounding like he was trying to ape them and also took the helm on most of the tunes that original bassist/vocalist Benjaim Orr sang. It could have easily headed into bad cover band territory but didn't. Kasim Sulton also took his turn at the mike for "All Mixed Up" and "Drive". "Drive", the cars biggest hit, was the high point of the night for me. Truly a great song in any decade. Along with the Cars hits they played Todd Rundgren's "Black Maria", "I Saw The Light", and "Bang The Drum". 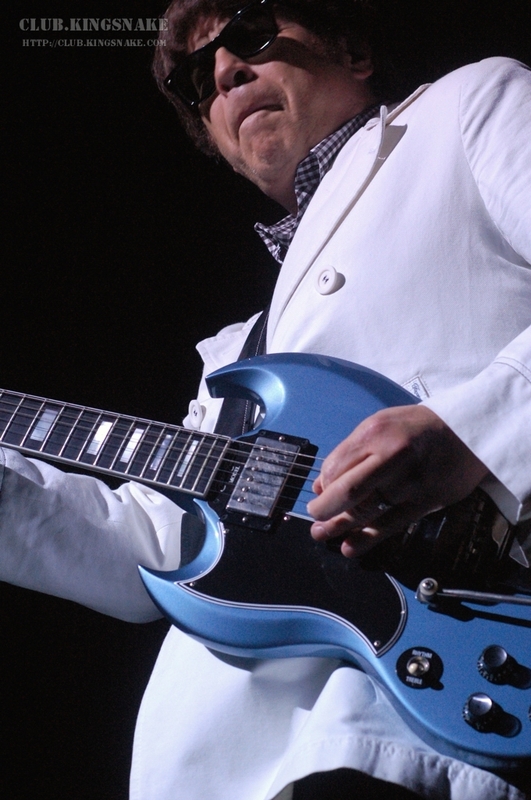 Elliot Easton is probably one of the most underrated guitarist going. He has a great pop sensibility and always keeps a tight reign on his playing. Most Cars guitar solos were only four or eight bars, but in that short time Elliot could lay out a story and bring it to it's exciting conclusion. During the New Cars' set Elliot only took an extended solo during "You're All I've Got" . It was nice to see him flex his lead guitar muscles for a minute or two. Following that was one of two new songs, "Not Tonight" (the other being "Warm" played earlier in the set). It shows that these guys aren't just rehashing their old music and can still write some good songs. Yes it's a nostalgia tour, but with flawless execution by musicians who still have what it takes.